Last year Rosemeadow Public School’s P&C was successful in applying for a $50,000 Community Building Partnership grant. The money was used to purchase a full-functioning catering trailer, a great addition to the school. 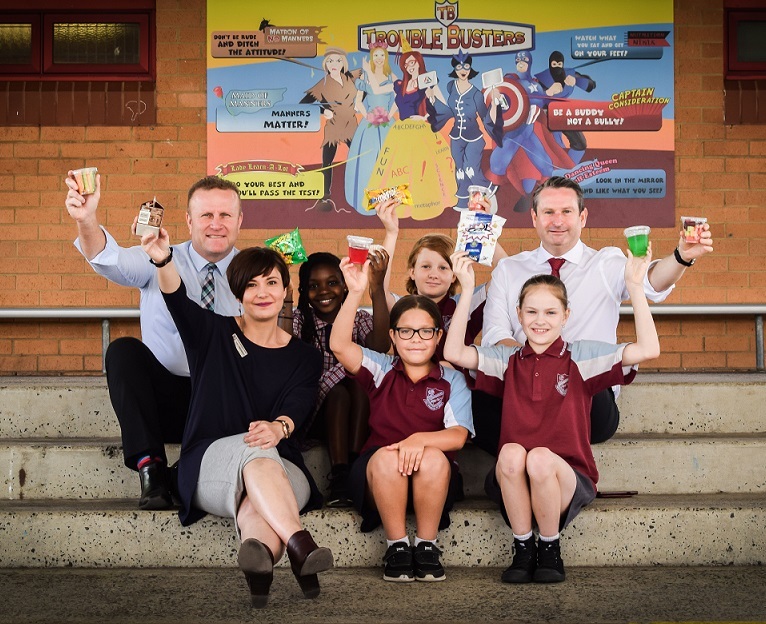 Campbelltown MP Greg Warren is encouraging others to join Rosemeadow Public School and apply for Community Building Partnership grant for a good cause. Mr Warren says grants between $20,000 and $200,000 are on offer and can be used for a range of projects such as playgrounds, sports facilities and art installations. Apply for your grant: MP Greg Warren with Rosemeadow Public School principal Paul Hughes, P&C president Tammy Scowcroft and students. “I urge any Campbelltown resident who has an idea that could benefit our community to submit a My Community Project application,’’ the local state MP said. “You have nothing to lose by applying but everything to gain if you are successful. Applicants will need to have the support of a sponsor which can include the council, a community or sports group, charity or school. If applications are successful it will be the sponsor who is responsible for ensuring the delivery of the project. Individual and sponsor applications will need to be submitted before 2pm, Wednesday, May 15 though it is recommended individuals submit their section of the application before Wednesday, May 1. Once projects have been assessed, voting will be open from Monday, July 15. For more information visit nsw.gov.au/improving-nsw/projects-and-initiatives/my-communityproject.